Welcome to Dogkisser Creations! 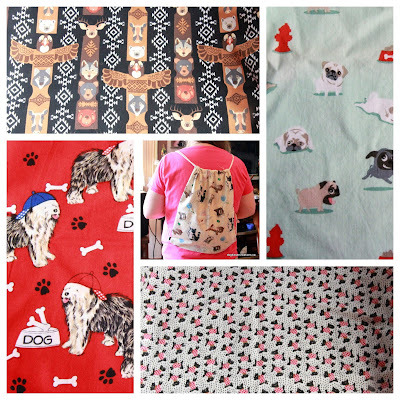 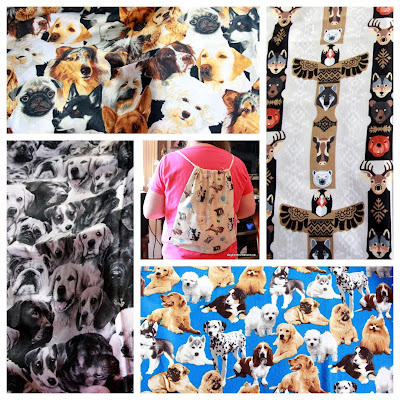 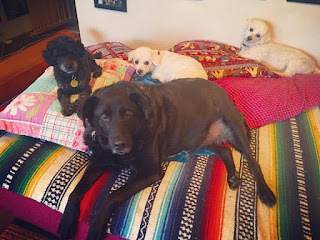 We make backpacks that are made with really cute doggy themed fabric - all the fabric is pre-washed and machine washable and is made to last - it is made under the watchful eyes of my own four dogs so I can't guarantee that it won't have a dog hair or two on it - but there is definitely no cat hair! 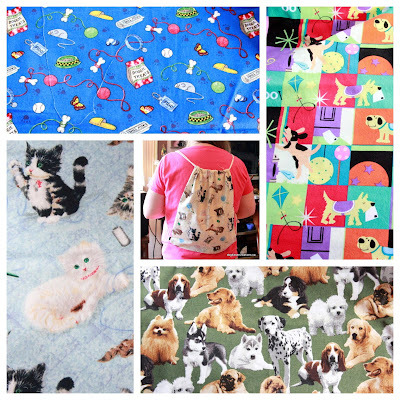 Although we have nothing against cats whatsoever - and some of our fabric has cats on it - we aim to please all animal lovers! The doggy back packs are $15 - and if you want them mailed to you it's $4 on top of that for shipping. If you are in the Halifax Regional Municipality I can deliver. The methods of payment I can receive are email transfer, paypal and of course cash. 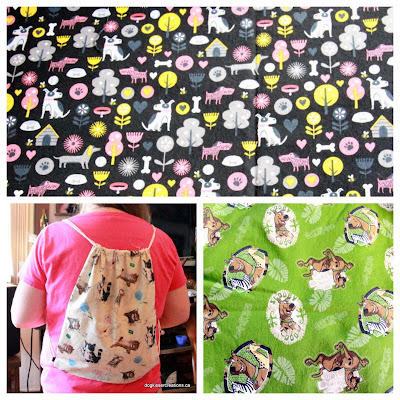 I will be adding more and more fabrics as I go along. 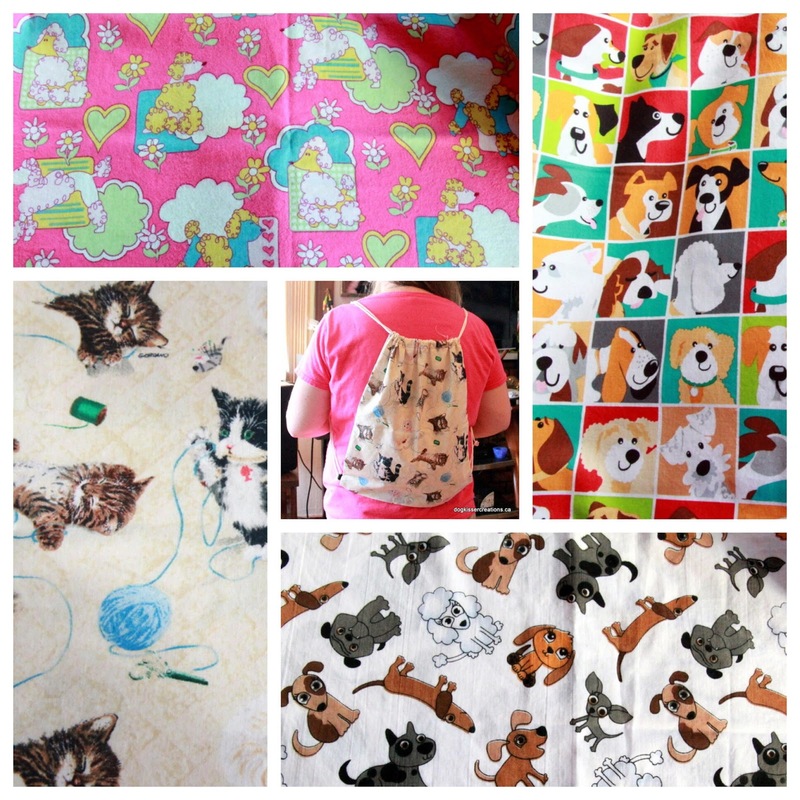 Here are some of the fabrics I have available to make into back packs!